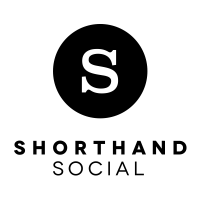 Shorthand Social is an easy way to create and publish media-rich stories online, and then share those stories more effectively with your Twitter followers. In this guide we run through the main features within the application, and cover how you can create a fully-responsive, media-rich story from scratch, as well as how to use the app's intelligent tweet creation to promote your story on social. The top section of your story is your Title section. This is one of the first opportunities to hook your reader, so use your media and text effectively to engage, and encourage your audience to scroll down – and note the media will get cropped to the centre for mobile readers. You can add an image or YouTube video to the background – background video autoplays, loops and is muted as default (although your reader can choose to turn the sound back on, on the live story). Underneath the Title section you can start adding in additional sections to build up the structure and narrative of your story. There are three section types available, Text, Text Over Media and Image or Video. You can delete a section if you change your mind, and insert new ones above and below. 1. This is a Text Section. And the ability to add hyperlinks. You can add captions underneath the embedded media, and resize using the icons in the corner of the media. Like the Title section, choose a background image or YouTube video. On platforms that don't support autoplay, a still image is shown. See how to add layers or depth to an image with the reveal effect at this link, achieved between two or more images in Text Over Media sections. The third section type (shown below) is the 'Image or Video' section, which lets you add standalone images or video to your story. This media won't get cropped, and the video won't autoplay or be muted as default. This section type is particularly useful if you want to include full-width portrait images, or other unusual aspect ratio images, without them getting cropped. When you're ready to publish your story (you can click Preview to get a taste first), click Review & Publish. Here you can see the tweets we have auto-generated from your story, and select which you wish to send, and schedule the timing between each. You can unpublish a story if necessary, which will cancel any unsent tweets, and delete those already posted.